The Chinese government announced that it has no plans to send its navy’s only aircraft carrier, the Liaoning (CV-16), to Syria. This is despite several reports that China already had or was planning to send her there in order to help Russia fight Islamist terrorists. 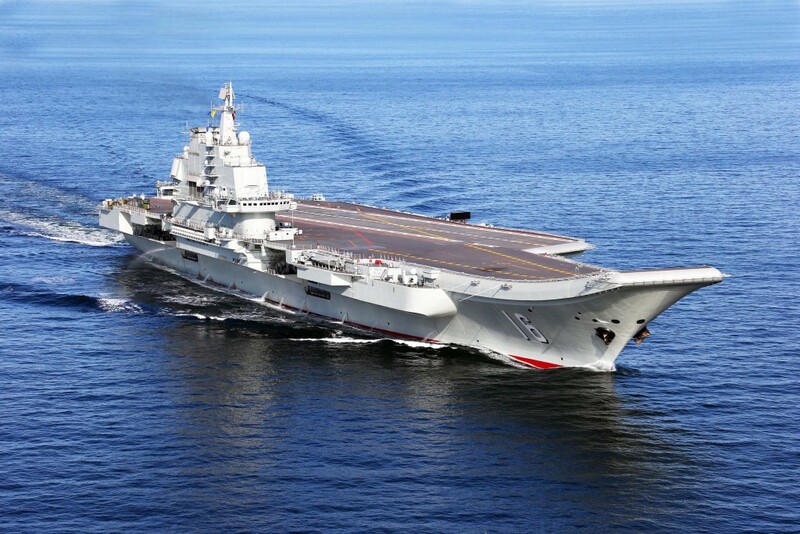 Responding to the rumors, the Chinese Foreign Ministry spokeswoman, Hua Chunying said that there was no plan to send the Liaoning to Syria, and that the aircraft carrier was currently involved in technical training and military exercises. In the past China has expressed concern about foreign interference in Syria’s internal affairs and has repeatedly called for a political solution. The Liaoning (CV-16) was commissioned on the 25th of September 2012 and is generally considered by western military experts to be a training carrier. She carries 24 Shenyang J-15 fighters; 6 Changhe Z-18F anti-submarine warfare (ASW) helicopters; 4 Changhe Z-18J airborne early warning helicopters and 2 Harbin Z-9C rescue helicopters. So far she has never been deployed abroad and her pilots are still in training to learn how to operate from the carrier.